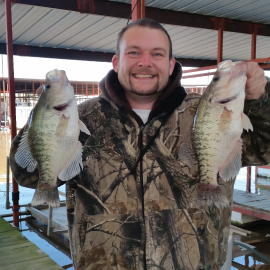 I’M DAVID KLAUS, THE PREMIERE CRAPPIE FISHING GUIDE ON LAKE EUFAULA IN OKLAHOMA. I’ve been fishing this lake for 25 years, I provide exceptional service and guaranteed customer satisfaction to anglers of all skill-levels. 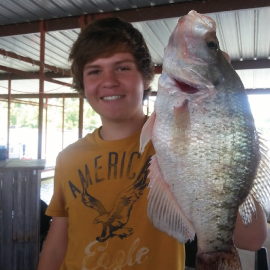 From January to December, I’ll help you catch crappie, improve your fishing skills, and make memories you won’t forget! 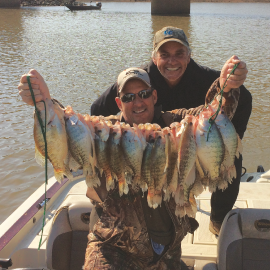 I encourage everyone who yearns for a rewarding time on the lake to join me for the complete guide experience! 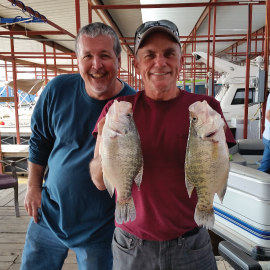 (and dinner-worthy) crappie throughout every season! RELAX AND CATCH SOME FISH!